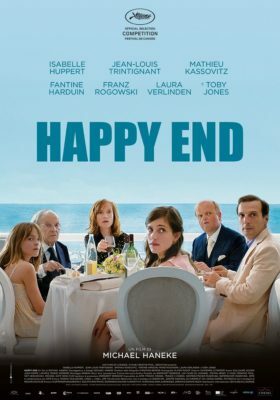 Happy End, directed by Michael Haneke, is an art film based on a bougie French family who might look like a happy family on the outside but are bubbling with their personal dark and troubling secrets. Young Eve (Fantine Harduin) moves in with her estranged father’s family when her depressive mother falls ill. The wealthy Laurent family is involved in construction business, which is threatened, when an accident occurs at work. This marks the beginning of the multitude of problems they are about to face. The persona that the movie lacks in the beginning, it more than makes up for it towards the end. Full of dark humour, mystery, ambition, infidelity, suicide attempt(s) and a possible murder – this movie has it all! Haneke has created magic while playing with human emotions through its characters. If you can survive the emotional rollercoaster, this movie is a must watch.